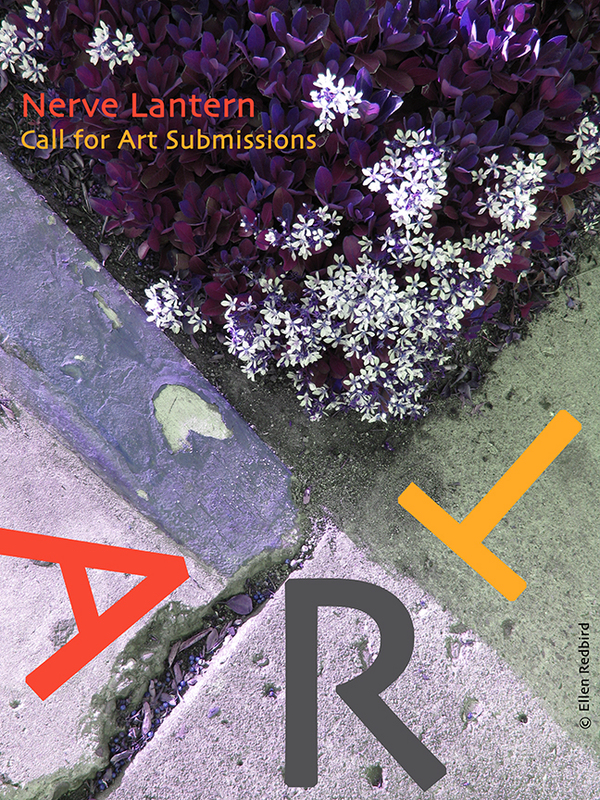 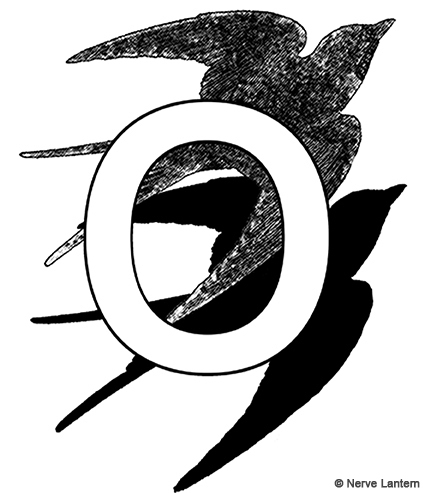 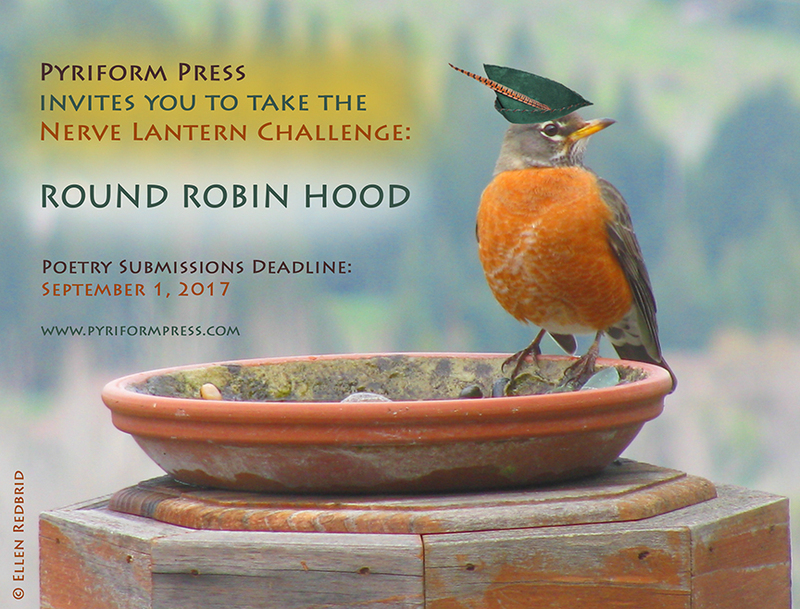 Ellen Redbird, editor of the literary journal Nerve Lantern: Axon of Performance Literature, is looking for an original visual artwork to showcase on the cover of issue 7. 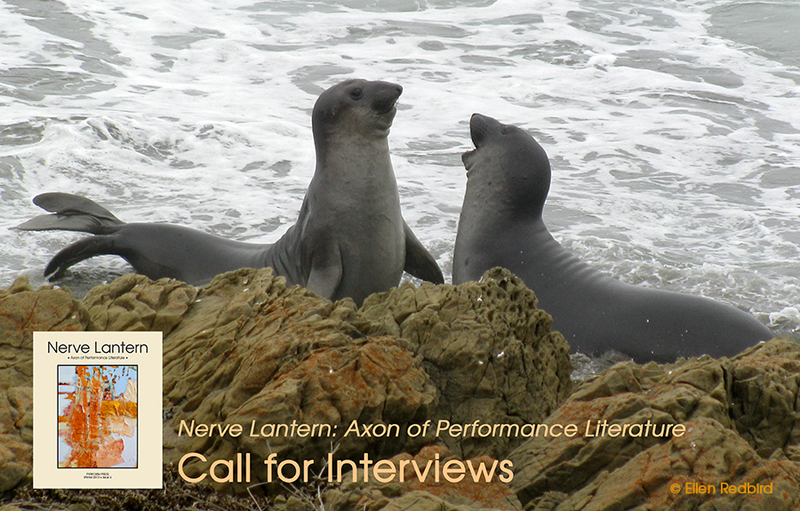 She is looking for art that in some way references performance (even very abstractly), especially the performance of language. 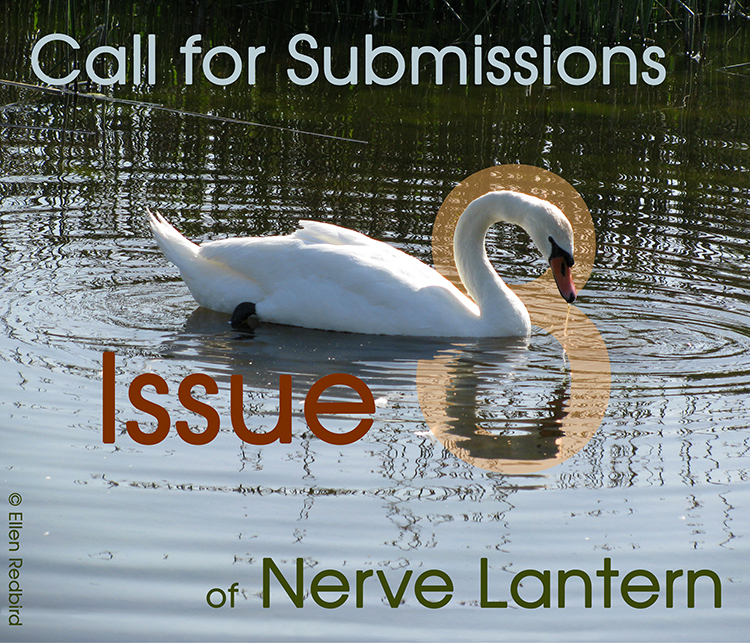 Ellen will judge your submission based on resonance with the thematic content of issue 7 and the mysterious overall aesthetic spirit of Nerve Lantern. 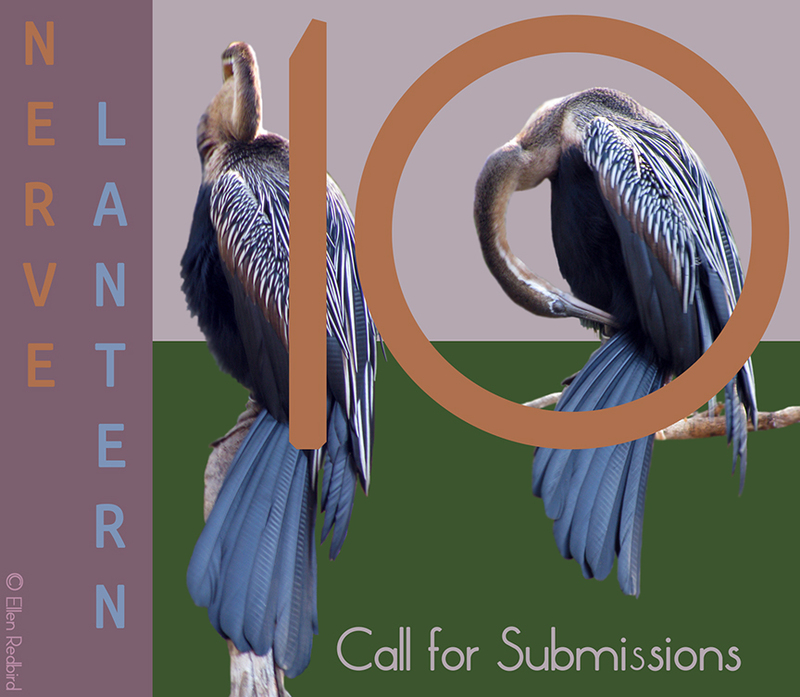 In case it helps you choose or create artwork to submit, here are some thematic prompts from issue 7 to play with: incantation, interruption, eucalyptus, bluebells, opera, poison oak, “a machine listens electric,” on the ceiling, gender morphing, performative portraits, “our language gets in the way of the truth,” maps, immigration denied, “walks straight and diaphanous into this grand heroic playlet.” However, your work does not have to reference these elements. 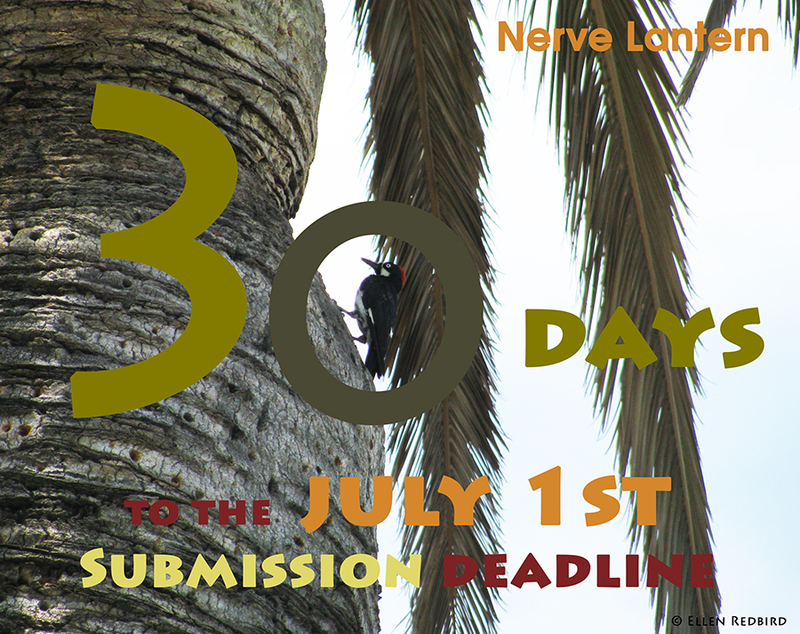 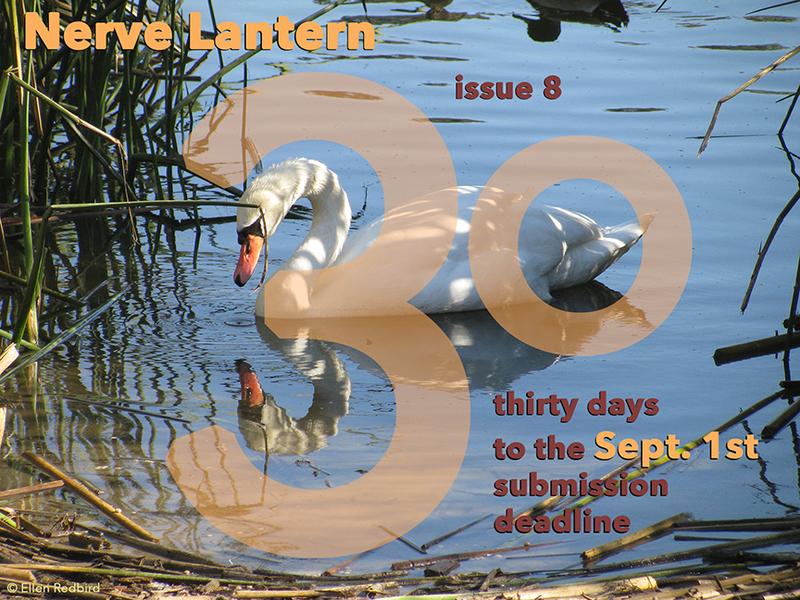 If your work is accepted, you will receive a free copy of the printed journal when it is released early next year.